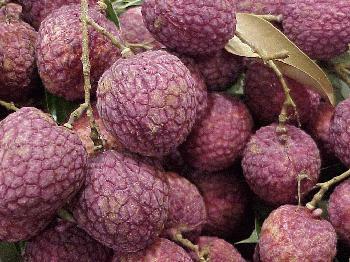 My diet for the last month has been roughly 50% lychee. This is the season, they are everywhere and generally hen hao chi. Apparently all the varieties grow around here, not to mention the few other fruits which are similar but not exactly the same. These are also hen hao chi. Yesterday we were taken on a school trip to go and pick some from an orchard with the local press in tow. I climbed up a tree and got some juicy ones, ate many and remembered what people say about “too much of a good thing.” Fortunately the season is ending and I’ll have another ten months to get prepared for the next crop.